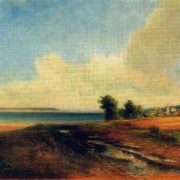 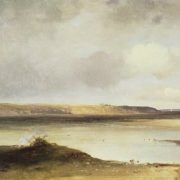 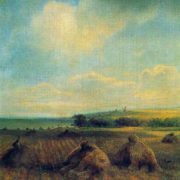 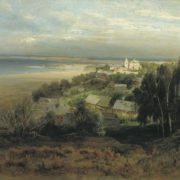 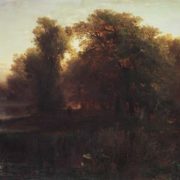 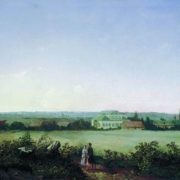 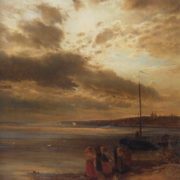 In the summer of 1854, the year of graduation, Savrasov painted two pictures (View in the vicinity of Oranienbaum and Seashore in the vicinity of Oranienbaum) and showed them at the autumn exhibition of the Academy of Arts. 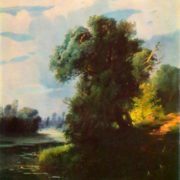 For them he was awarded the title of academician. 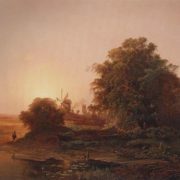 The first of these paintings was bought by P.M. Tretyakov in 1858. 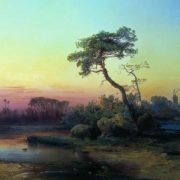 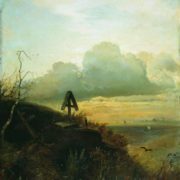 In the same year Savrasov became the head of the landscape class of the school of painting and sculpture. 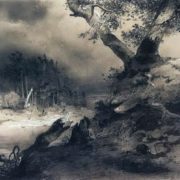 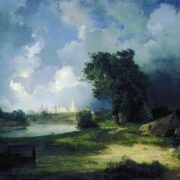 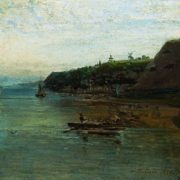 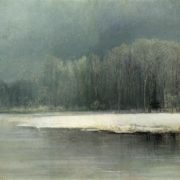 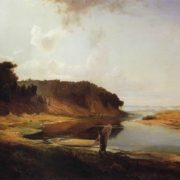 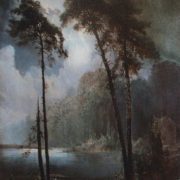 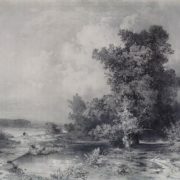 The following year, Landscape with the River and the Fisherman, one of the best landscapes of Savrasov, was painted. 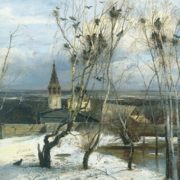 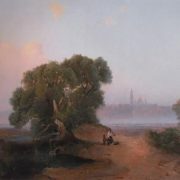 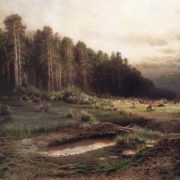 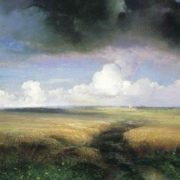 In 1860 Savrasov participated in the first exhibition, organized by the Moscow Society of Art Lovers. 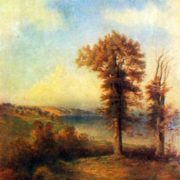 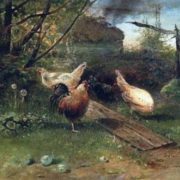 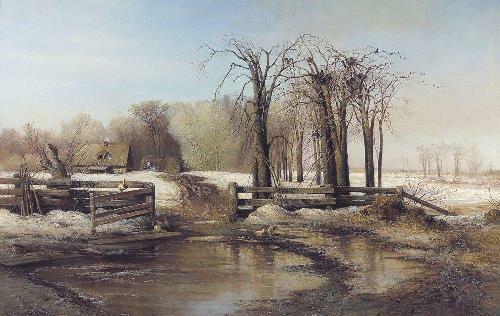 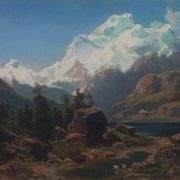 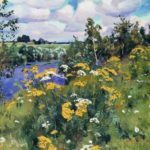 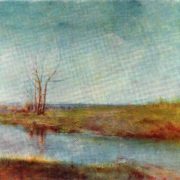 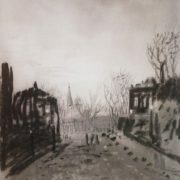 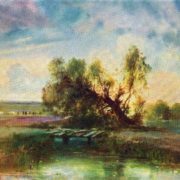 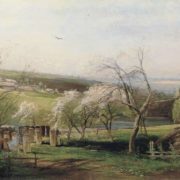 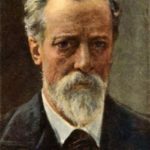 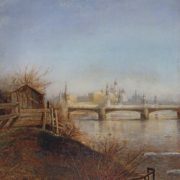 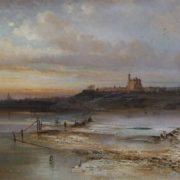 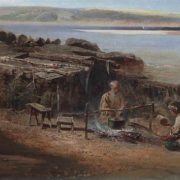 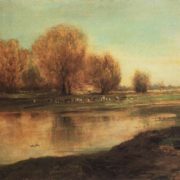 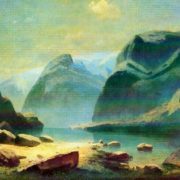 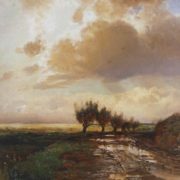 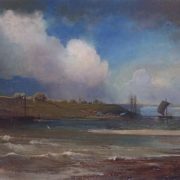 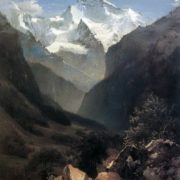 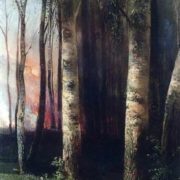 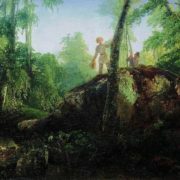 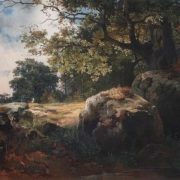 In 1862, he traveled abroad: he was at a world exhibition in London, visited France, Switzerland, Germany, painted several landscapes in Switzerland. 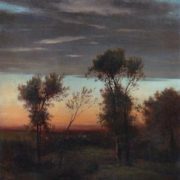 Together with V.V. 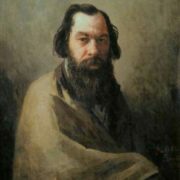 Pukirev, A.K. 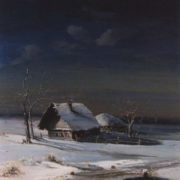 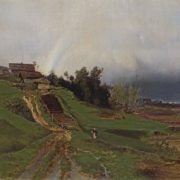 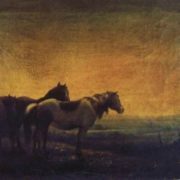 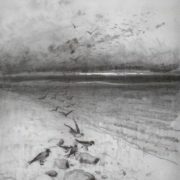 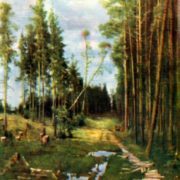 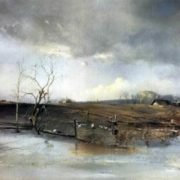 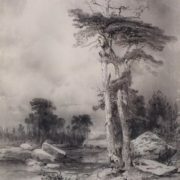 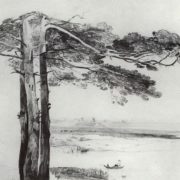 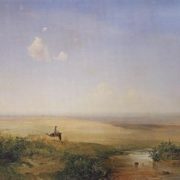 Savrasov worked on a drawing textbook, which included his Russian landscapes. 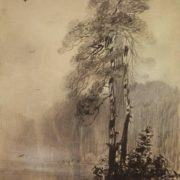 In 1871-1875, Savrasov participated in the exhibitions of the Association of Traveling Art Exhibitions. 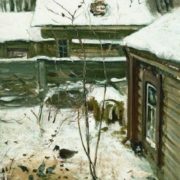 He worked a lot in the vicinity of Moscow, traveled to the northern provinces of Russia, in the Volga region. 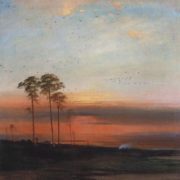 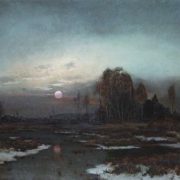 Savrasov’s paintings were also exhibited at world exhibitions – in Vienna in 1873 and in Paris in 1878 and at the All-Russian Exhibition in Moscow in 1882. 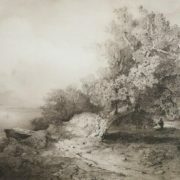 Since the end of the 1870s, Savrasov suffered from alcoholism, and his works had dark motives. 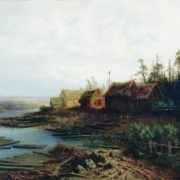 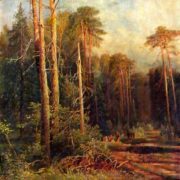 In 1882 he was dismissed from the Moscow School of Painting. 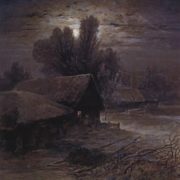 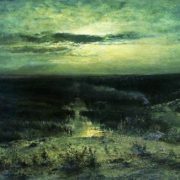 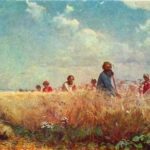 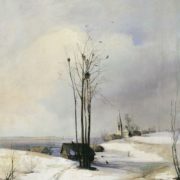 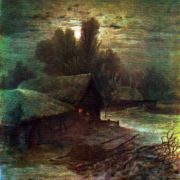 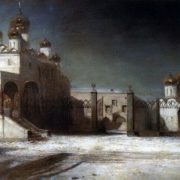 Alexei Savrasov died on September 26 (October 8), 1897 in Moscow in a hospital for the poor in Khitrovka. 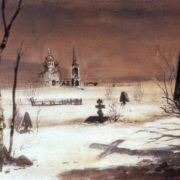 He was buried at the Vagankovskoye cemetery. 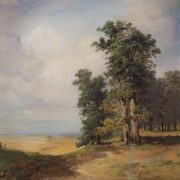 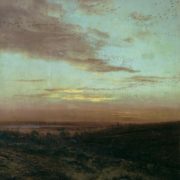 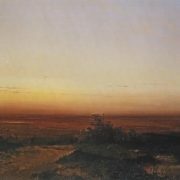 In the autumn of 1857, at the age of 27, Alexei Savrasov married 31-year-old Sophia Karlovna Hertz (1826-1895), the sister of the artist Konstantin Hertz who studied with him, as well as the sister of the famous archaeologist and art historian Karl Hertz. 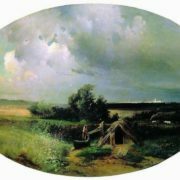 The couple had four daughters and one son. 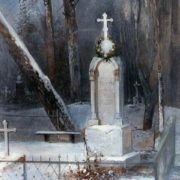 Two daughters died in childhood. 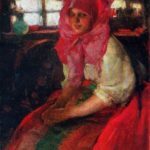 At the end of 1876 the marriage broke up. 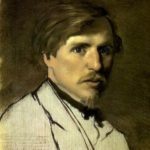 The wife took children and went to St. Petersburg. 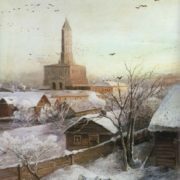 In 1887-1888 Savrasov lived in Moscow with Vera Ivanovna Kindyakova. 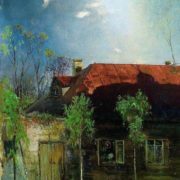 In her apartment, he painted several paintings. 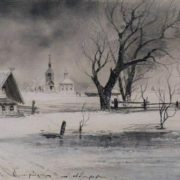 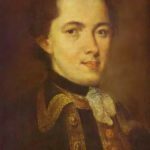 Since 1893 until the end of his life Savrasov lived with Ekaterina Matveyevna Morgunova. 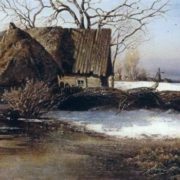 They had two children.